When you or a loved one has been injured by someone else’s actions or negligence, you deserve to have an attorney on your side who is equipped to help you make a full recovery. While doctors and medical professionals can assist you with your physical recovery, the team at Mevorah Law Offices LLC will go to work in securing your financial recovery. 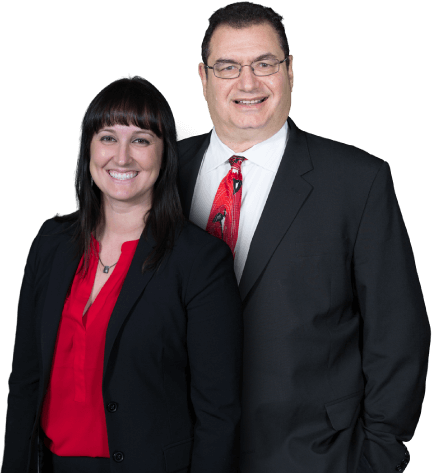 We have been providing a full range of personal injury legal services to clients throughout Naperville and the surrounding areas for more than 35 years. The attorneys at our law firm have recovered millions of dollars in verdicts and settlements for our clients. We have earned the respect of the big insurance companies and their lawyers, and we understand what it takes to be successful. When you choose Mevorah Law Offices LLC, you become part of our family, and there are no fees unless you collect compensation. Every day, thousands of people throughout the country are injured in car accidents. A car accident-related injury can leave you facing expensive medical bills and other costs associated with your recovery. Your ability to work and provide for your family could also be affected. At Mevorah Law Offices LLC, we will conduct a full investigation into the circumstances of your accident so that we can hold the proper party or parties accountable. You deserve to be fully compensated for your injuries, and we will work hard to get you justice. Large trucks and other commercial vehicles play vital roles in the American economy, but they also present serious dangers on the nation’s roadways. When a truck accident occurs, the occupants of other involved vehicles nearly always suffer the worst injuries. At Mevorah Law Offices in Naperville, we know the tactics that trucking companies and their insurance carriers will use to limit or escape liability for an accident. We will not be tricked or intimidated into accepting settlements that fail to meet your needs. If you have been injured in a truck accident, you can rely on us to advocate for your best interests and to help you put your life back together. Those who ride motorcycles are at much higher risk for injuries during an accident than drivers and passengers in other vehicles. The differences in size and weight between motorcycles and passenger vehicles are important factors, as is the fact that other drivers often fail to see or account for motorcycles. Our Naperville attorneys represent injured motorcycle riders and help them secure full compensation after an accident. Drivers are responsible for being aware of their surroundings and must watch for cyclists and pedestrians. A single moment of inattention, unfortunately, can lead to serious injury or even death. At Mevorah Law Offices LLC, our attorneys are experienced in handling pedestrian and bicycle accidents, from the initial investigation to negotiations with insurance companies to courtroom litigation. If you have been hit by a car, we are ready to help you. 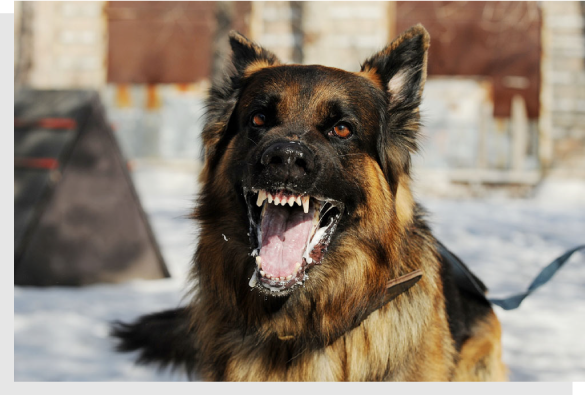 Federal estimates indicate that approximately 1,000 Americans seek emergency treatment for dog bites every day, and many of the victims are children. If you or your child has been bitten by a dog, Illinois law provides that you may be entitled to be compensated for your injuries. Our team has the knowledge and experience to help you maximize your recovery so that you can put your life back on track. When you are on another person’s property, you have the right to expect that person to keep the property reasonably safe. If they fail to do so and you are injured as a result, the property owner could be held liable for your injuries. 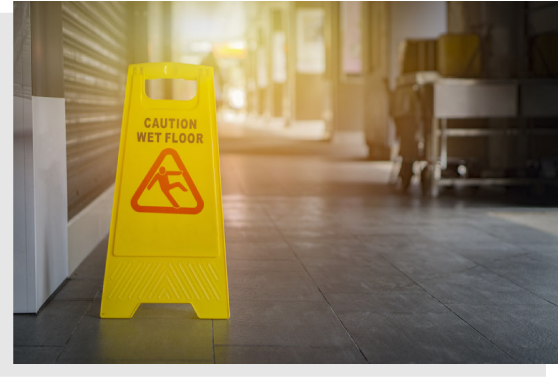 Slip and fall accidents cause thousands of injuries every year, and we are equipped to help you get the compensation you deserve. We will help you explore your options for recovering damages and will remain at your side as you seek full justice. "Dear Mr. Mevorah. Your representation and guidance during the pendency of my mother's and son's injury case are very much appreciated. You encouraged and allowed my mother to concentrate on her medical treatment to obtain the best recovery possible for her injuries, while you took care of the legal side of the case. Your firm followed a steady approach to their case. You have a large, professional staff that came through for them in all respects. Thanks again." "Thank you so much for believing in me and representing me. You and your staff did a great job handling my personal injury case. 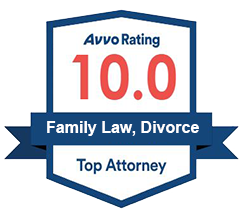 I would gladly recommend you and your law firm to any family, friend, or co-worker who is looking for a good lawyer." "After being in an auto accident which has caused me not only physical, but emotional pain. Working with your firm, I have regained some confidence and happiness. Your office and its members were nothing short of exceptional. Thank you very much for the peace of mind." "Mevorah Law Offices LLC did an excellent job helping me with my legal issue. It was not a large issue, but they took the time to handle it properly. They were responsive to my questions and expedited the process through the bureaucratic court system. I highly recommend Mevorah Law Offices LLC." "You and your entire staff did a great job handling our estate matters. I would definitely recommend your firm to anyone that needs help with legal problems." "I would like to thank you and your entire staff for the wonderful job you did in handling my case. I couldn't have asked for a better law firm. It was great working with you and I definitely would recommend your firm to any family or friend in need of a good lawyer. Thank you." At Mevorah Law Offices, we are committed to helping our clients recover full compensation for their injuries. When you or a loved one has been hurt, you can depend on our firm to provide the aggressive representation you need to protect your rights. When you have been injured as the result of someone else’s actions or negligence, it can be nearly impossible for you to get the compensation you deserve without an attorney on your side. Defendants and insurance companies have lawyers working for them, and you should too. How Much Money Could I Collect? The circumstances of every case are different, but you could be entitled to collect compensation for past and future medical expenses, lost wages, pain and suffering, and much more. An experienced attorney can help you determine the potential value of your case. Should I Accept a Fast Settlement? If an insurance company has offered you a settlement quickly, there is a good chance that the settlement is far too low. Many insurance companies offer quick settlements when they know that a case is potentially worth much more than they are offering. Speak with one of our attorneys before you agree to or sign anything from an insurance company. We handle personal injury cases on a contingency fee basis, which means you do not owe us anything unless we get you compensation. If you do collect damages, our fees are reasonable and competitive with other top-quality injury lawyers in the region. Even the initial consultation is free, which means that you have nothing to lose. To learn more about our firm and our approach to personal injury cases, contact our office. Call 630-420-1000 for a free consultation with a member of our team today. There are no fees unless we win. Mevorah Law Offices LLC serves clients in Naperville, DuPage County, Will County, and the surrounding areas.